How do you get the indicative price lists for your listed funeral homes and are they accurate? Please note that unless the funeral home is a Verified or Premium listing (denoted by a green tick or Premium badge in the featured image), the prices displayed should be regarded as indicative prices only. Prices can also vary due to exact preferences, the availability of discounts and packaged price options, as well as changes over time. 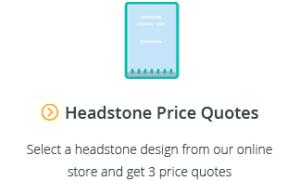 For an exact price quote, we recommend that you contact the funeral home using the one-click enquiry form in their listing or alternatively, you can request customised quotes from funeral homes by completing our Request Quotes Form. 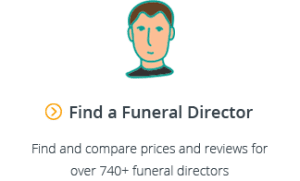 Why should I list my funeral home on Gathered Here? The way customers find services is moving increasingly online. In a survey of families searching for funeral homes, we found that 72% of customers began their search for a funeral home online. However, properly managing a digital presence for any business is a full time job – search engine optimisation, paid advertising and content marketing are expensive and technical, and if not done correctly, can mean that your funeral home is being missed by potential customers. How many cases have you lost because local families couldn’t find you online, or because your digital presence wasn’t as polished as some of the bigger corporations? Being listed on Gathered Here means that you’ll always be found by local customers searching for funeral services. 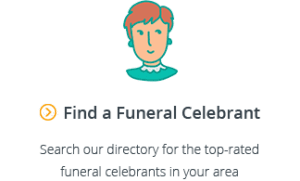 How do I list my funeral home on Gathered Here? For information on the benefits of listing your business on Gathered Here, visit our information page for funeral homes. To list your funeral home on Gathered Here, select your plan here and follow the prompts. Why should I make my pricing available online? Providing the best service and guiding grieving families through difficult periods is the most important role for any funeral home, but price often tends to form a significant part of the conversation early on. Up front transparency of your services and pricing creates trust, reduces time spent answering questions, and results in more meaningful conversations with customers. Spend less time talking about price and more time providing the service that makes you stand out. To upgrade to a Premium listing, click here and complete the form. If you already have a Basic listing we will replace it with your new Premium listing. How do I claim my Basic listing? To claim your Basic listing click on the “Claim this listing” link on the feature image of your listing and follow the prompts. If you would like to claim your listing and upgrade to a Premium listing, you can also make that selection after following the “Claim this listing” link. Why should I claim my funeral home? It’s absolutely free to claim your Basic listing. Claiming your listing lets customers know that the listing has been verified and that the details are correct. All claimed listings receive a “Verified” badge. How do I get exclusive access to qualified quote requests? If you are a Premium member, you will receive exclusive access to qualified quote requests from customers in your area. Whenever a local customer completes the Request Quotes Form on our website, we will forward you the details of their exact requirements. You will then have 48 hours to provide us with a quote for the requested services. We forward all quotes to the customer and let you know as soon as you have been selected. On average, customers are sent 3 quotes to choose from. 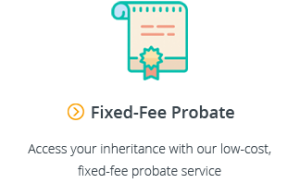 Important: If you are selected by a customer after providing a quote, a Success Fee is payable after you have received payment for the services from the customer. Because payment is only required after you have received payment from the customer, this service is completely risk free. For more details, please contact us at support@gatheredhere.com.au. Simply complete the Request Pamphlets Form and we will send you free pamphlets which you can use to direct your families to our website. We also have a range of html and plain text email templates that you can use to send to your clients and patients. Get in touch with us at support@gatheredhere.com.au so we can tailor the right communications for you. We are 100% independent and not affiliated with any funeral homes or corporations. Unlike other comparison websites, we display all results, and not just a handful of funeral homes owned by affiliated companies. Our independence allows us to list all available funeral homes so that families can see the full picture and make properly informed decisions. It’s our mission to take away the stress from finding the right funeral home and to give families confidence in the decisions they make.